1. Museum accessibility guide : United States Holocaust Memorial Museum, Washington, D.C.
4. A church group from North Carolina visits the U.S. Holocaust Memorial Museum as part of the "Lift Every Voice" program and is given a tour of the Permanent Exhibition by Lynn Williams. 5. A collection of Nazi racial lantern slides on display in the permanent exhibition of the U.S. Holocaust Memorial Museum. 6. A collection of valises belonging to Jews who were deported to death camps, that are displayed at the base of the railcar on the third floor of the permanent exhibition at the U.S. Holocaust Memorial Museum. 7. Actress Barbra Streisand poses on the bridge in the Tower of Faces (the Yaffa Eliach Shtetl Collection) segment of the Permanent Exhibition at the U.S. Holocaust Memorial Museum. 8. A detail of the Lithuanian section of the Rescuers' Wall on the second floor of the permanent exhibition. 9. A detail of the roof structure of the Hall of Witness at the U.S. Holocaust Memorial Museum. 10. A detail of the roof structure of the Hall of Witness at the U.S. Holocaust Memorial Museum. 11. A detail of the "You Are My Witnesses" wall in the Hall of Witness at the U.S. Holocaust Memorial Museum. 12. Aerial view of the U.S. Holocaust Memorial Museum looking from 15th Street in the direction of the U.S. Capitol. 13. A group of children enter the Remember the Children: Daniel's Story exhibit in the Hall of Witness at the U.S. Holocaust Memorial Museum. 14. A group of school children enter the special exhibition "Daniel's Story: Remember the Children" from the Hall of Witness in the U.S. Holocaust Memorial Museum. 15. 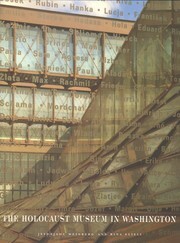 A group of students crosses the glass bridge etched with the names of lost Jewish communities in the permanant exhibition of the U.S. Holocaust Memorial Museum. 16. A group of students crosses the glass bridge etched with the names of lost Jewish communities in the permanant exhibition of the U.S. Holocaust Memorial Museum. 17. A group of students views the Tower of Faces (Yaffa Eliach Shtetl Collection) in the permanent exhibition of the U.S. Holocaust Memorial Museum. 18. A group of students views the Tower of Faces (Yaffa Eliach Shtetl Collection) in the permanent exhibition of the U.S. Holocaust Memorial Museum. 19. A group of visitors in the Hall of Witness at the U.S. Holocaust Memorial Museum. 20. A Holocaust education class at the Maret School, an independent college preparatory day school in Washington, DC, makes use of a poster series produced by the US Holocaust Memorial Museum.